At Shephard Plumbing, we take pride in having the knowledge and equipment to manage any plumbing need in your home or business – no matter how big or small. We’ll come to your property, inspect your system and fully inform you of the problem and our solution so you know what to expect. Keeping you updated throughout the entire repair or installation project is just one way we give you peace of mind and confidence in our plumbing expertise. 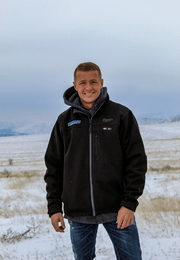 When you’re ready to work with comprehensive plumbing professionals in Yakima who can fix any issue with your residential or commercial system, call Shephard Plumbing to set up your first appointment. From New Plumbing to Remodeling, Our Specialists Can Handle It All! Do you really want to call multiple plumbers to handle different aspects of your system? Why not work with one company that can manage every issue? If you want to hire one business for all of your residential plumbing and commercial plumbing needs, choose Shephard Plumbing in Washington. Copyright © 2019 Shephard Plumbing.